Landscape beds are an integral part of your overall grounds and deserve just as much attention as the rest of your property. 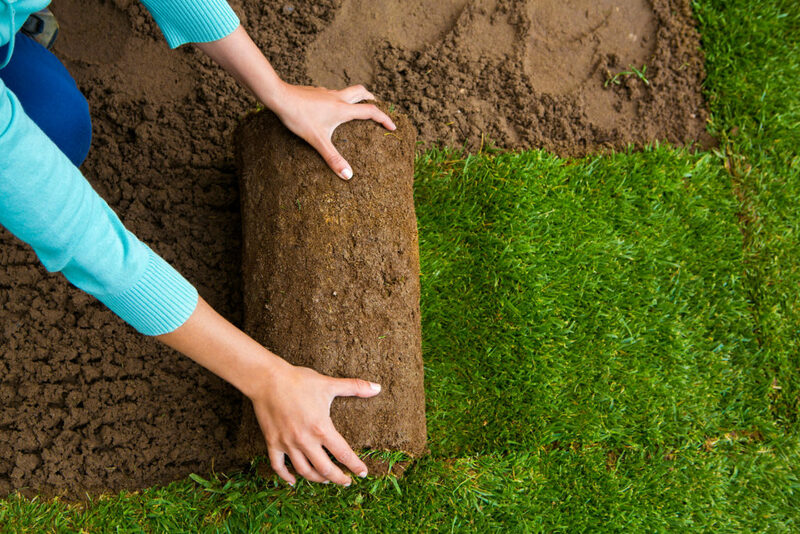 We are your sod experts and are ready to re-make your lawn today! Not only does our premium mulch add more dynamic color to your landscaping, it also functions as a medium between the hot sun and the soil below. This greatly helps the soil to retain valuable moisture. When it comes to hedge trimming, we approach our craft as a science and an art! Pruning hedges and trees is a simple way to add appeal! Using the utmost skill and care is critical in promoting healthy growth. Our spring and fall clean-up services include the removal of leaves and other debris from your landscaping, sidewalk, and driveway. Does your best friend tend to treat your lawn like his worst enemy? Westside Grounds is ready and willing to get rid it of all of those little surprises that your best friend leaves in your path. Routinely cleaning your gutters and other water-carrying systems on your roof must be done to make certain that your roof does not leak, which could cost you far more in the long-term. Sure you want your Denver home to look festive and beautiful over the holidays, but who has the time and effort it requires to make that happen? You have enough stress during the holidays; we’ll handle the Christmas lights! Need help with your lawn care? Our experts are waiting to help you.